There are many reasons why camera phones are popular these days, and while convenience is probably the number one reason why it’s this way, the ability to quickly share your photos and videos on a wide variety of social networks, or tweak them using an app such as Instagram, must also be near the top of the list. 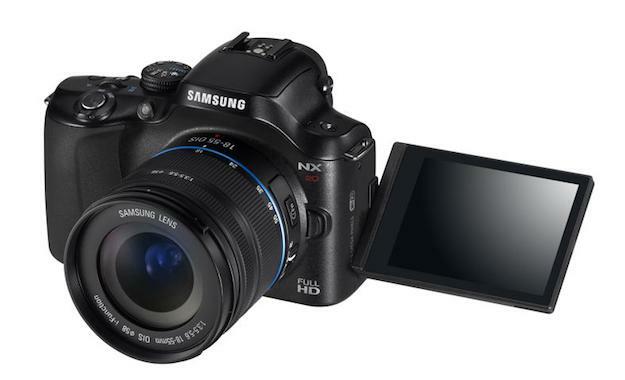 However, with Samsung’s trio of new NX series compact cameras, you’ll no longer need to wait until you’re back at your computer to edit and share your latest snaps, as all three models have Wi-Fi and Samsung’s Smart Filters built-in. 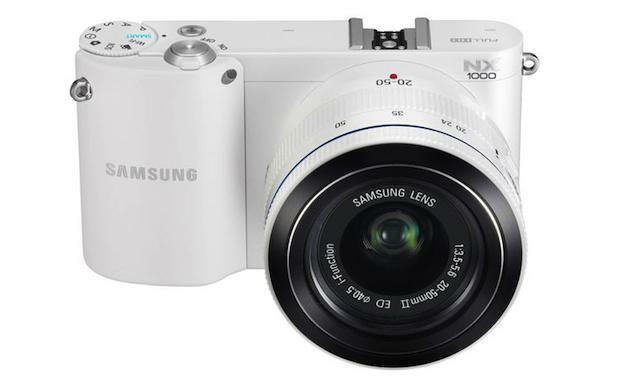 The NX1000, NX210 and NX20 are the models in question, and they’re the first “compact system” cameras to offer Wi-Fi connectivity, joining Samsung’s Wi-Fi equipped ST compact series launched in January. Each new NX has a Samsung-developed 20.3 megapixel CMOS sensor, with the ability to record 1080p high definition video, plus they’re all compatible with the NX range of accessories, including lenses and flash units. Once you’ve connected your camera to a Wi-Fi network, photos can be shared through social networks such as Facebook, Picasa and YouTube, by email, or even transferred to a cloud storage service to help free valuable space. Samsung’s selection of ten Smart Filters may sound small in comparison to mobile applications like the iPhone’s Camera+, but all the old favorites are here, including a retro, vignette, old-style film and even a cartoon filter. If you’re using a Samsung smartphone to provide a Wi-Fi Hotspot, there’s also the option to use the phone as a remote viewfinder too. Available in black, white or pink, the NX1000 is the cheapest of the three at $699/£599, and comes with a standard 20-50mm OIS II lens. Samsung say it’s the lightest compact camera of its type on the market, achieved mainly by using a polycarbonate body. The NX1000 has a 3-inch LCD rear screen, plus there’s a clip-on flash unit inside the box. This replaces the old NX200 and unlike the NX1000, has a metal body and a 3-inch AMOLED screen, plus it can support an external microphone, a remote shutter release and shoot in RAW. It comes with an 18-55mm OIS III lens and will cost $899/£749. 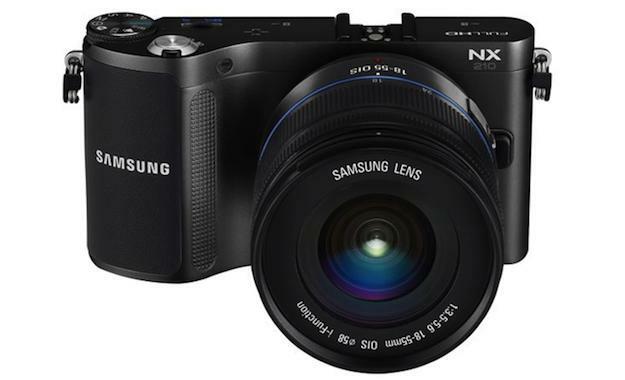 Check out our review of the Samsung NX20 digital camera. 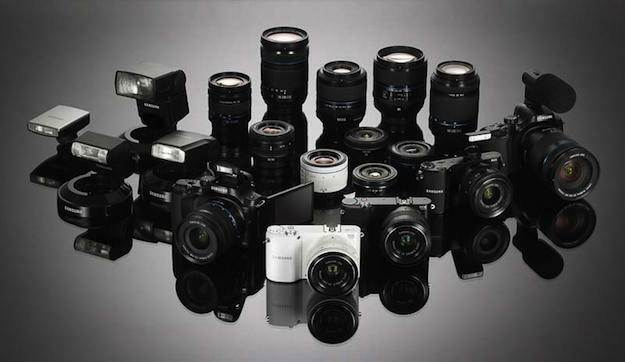 Sitting at the top of the range is the NX20, which is the most DSLR-looking of the three new models. It comes with the same 18-55mm OIS III lens as the NX210, but adds a pop-up flash, an electronic viewfinder and a swiveling 3-inch AMOLED screen. All three cameras have the same 100-12800 ISO and 8fps rate, but the NX20 uses a hybrid mechanical/electronic shutter to give a speed of 1/8000s. It’ll be priced at $1,100/£899 when it’s released, which along with the other models, should be sometime in May.